Visitors who want to experience the race first hand need also some endurance! Here are the best spots and passage times of the bikers. 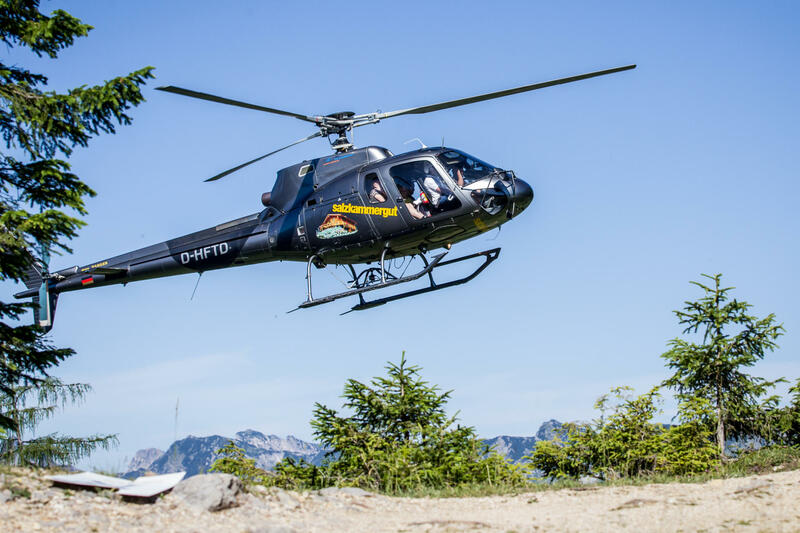 The most beautiful visitor spot is also accessible by helicopter. After 11 hairpin bends up to the famous Hallstätt Burial Grounds and the oldest saltmine in the World, the steepest leg of the course is waiting now for the participants. This part of the extreme course often means the difference between victory and defeat. 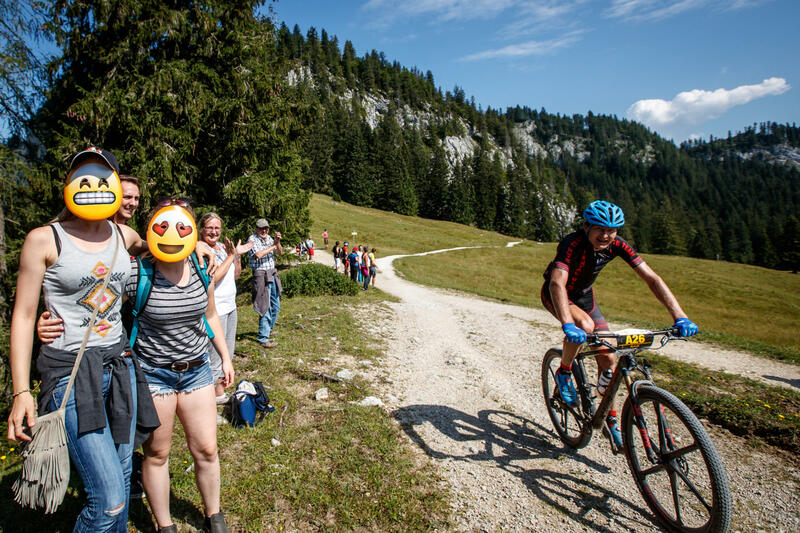 However, the Salzberg does not offer only bike action, but also a most spectacular view of the lake and the surrounding mountain range. More information and humours comments on the race are guaranteed by talk host Engelbert Buttinger. Vouchers for the Salzberg cable car are available at the Trophy Info stand. Roundtrip will be only Euro 8! For our small visitors we have organized a big event program during the Trophy weekend! Melting an iceberg, professional face painting, bouncy castle, stacking cups, as well as a bike workshop for youngster between 6 and 14 years! The Trophy is also famous for its numerous fans along the courses cheering the bikers or spurring them to peak performances. The Trophy is also famous for its numerous fans along the courses cheering the bikers or spurring them to peak performances. Those fan groups with the best ideas will be even awarded this year! First prize is a 50 litres Zipfer beer barrel or radler. The winners are going to be determined by the numbers of Facebook likes as well as a jury. For more details please see the German Trophy Site.